When renovating or updating, Edmonton home owners often choose concrete countertops because of the versatility and customizability they provide. Unlike granite, marble, or laminate, which come in more or less preset patterns that, while “unique,” look more or less the same, concrete countertops can truly be made one of a kind. Because concrete is, at its core, simply cement mixed with an aggregate, owners can add any color pigment and endless elements, such as broken glass, river stones, even contrasting hardwood inserts. And, unlike granite or other stone countertops, which are typically precut at a factory after (often less than accurate) measurements are taken from the home, concrete countertops are laid in liquid form, allowing for even more customization options. 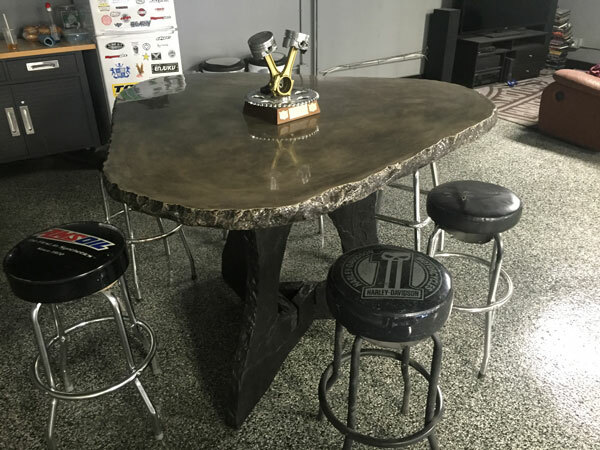 Some Edmonton concrete countertop specialists offer in countertop knife block inserts, customized sink inserts, and any curve you can dream up. Homeowners should also consider the status and build of their current cabinetry. While many concrete countertops are of similar weight to granite, at around 20 pounds per square foot at 1.5-inch thickness, some heavier aggregates, especially those meant to enhance the concrete’s durability and strength may weigh in significantly higher, leading so potentially costly damages and repairs. Finally, while the main selling point of concrete over granite, laminate, and other, more traditional materials is its customizability, know that this word is a double edged sword when it comes to home renovations intended to increase the sellability of a home. Your vision for enhancing the home with concrete countertops, with inlaid river stone, black and blue pigments, and a small water feature, may come across as perfect to the right seller and add $10,000 dollars to their offer, or it may come across as unnecessary and tasteless, and be the grounds for an intended major renovation and heavily discounted offer. So, if you do decide to go with concrete countertops, elect for a sleek design with a neutral color and pattern. Instead of flashy, keep your customized elements as functional as possible. Knife inserts and a cutting board inlay will likely leave an impression on any potential buyer, especially one previously unfamiliar with concrete as a countertop medium. Meanwhile, remember you can keep your “vision” for your new home (water feature and all). As with any home renovation intended to increase the value and selling potential of a home, the most important factor to determining the success of your concrete countertops is the local market. Do your research, and see how properties with cement countertops stack up in sales against those with granite and other, more traditional mediums. Perhaps concrete countertops, are all the rage in Edmonton this year, but buyers in the Red Deer or Camrose markets just don’t see their potential. 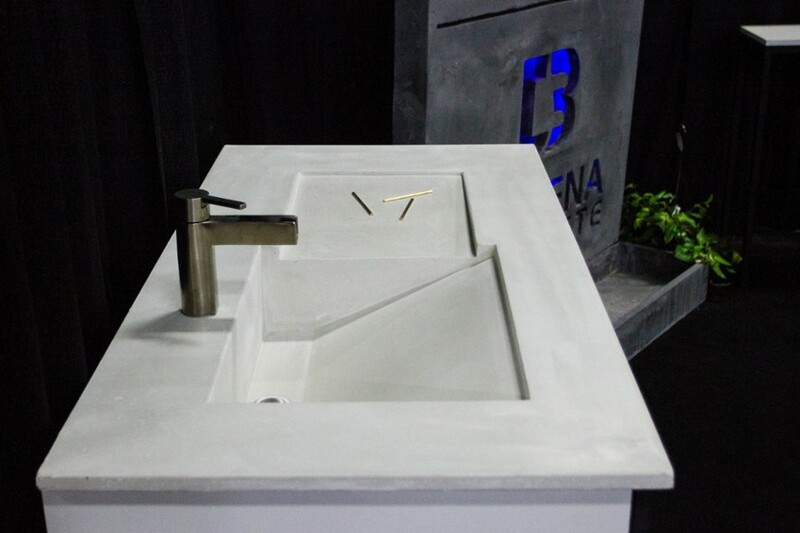 Finally, become acquainted with the concrete countertop installation process, so you can gain a better understanding of what can and should be done. Many believe that concrete countertops are one of those improvements that falls firmly on the DNDIY (Do Not Do It Yourself) side of the fence, because working with concrete indoors requires special, somewhat expensive equipment, and, because you are working with a liquid, unforeseen complications can have disastrous consequences on those brand new hardwood floors you had installed last week. So, hire a contractor, but do your research on concrete countertop installation first.